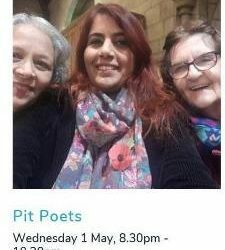 An evening of pit poetry and songs as part of the 2019 Nottingham Poetry Festival – Horse and Jockey PH, Selston, NG16 6FE. 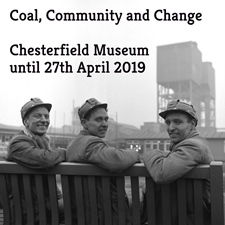 The Coal, Community and Change (1965-2015) travelling exhibition is on at Chesterfield until 27th April 2019. Free event. 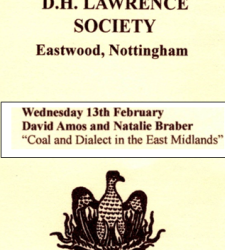 An afternoon of talks and discussion on the role of women in the former Nottinghamshire Coalfield. Who Killed Edwina Beer – a play by Alan Dawson. 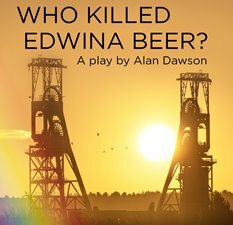 ‘Who Killed Edwina Beer’ by Alan Dawson is on at the Black Bull and Clipstone MW over the weekend of 22nd and 23rd March 2019. Tickets £6 each. 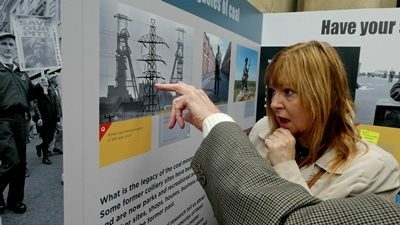 Dealing with the Past: Coal, Community and Change (1965-2015) at Mansfield Museum – 9th to 30th March 2019. Funded by the Global Heritage Research Fund at Nottingham Trent University. Free event – all welcome. 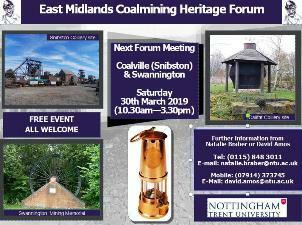 Next meeting on Saturday, 30th March 2019 (10.30am – 4.30pm) at Coalville & Swannington. Free event – all welcome. 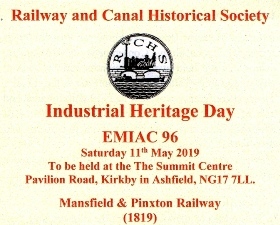 Industrial Heritage Day – Bicentenary of Mansfield and Pinxton Railway (1819-2019) – Sat 11th May 2019. 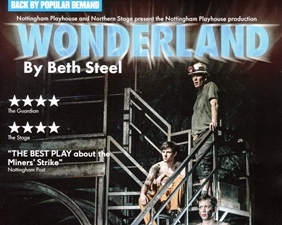 Wonderland returns to the Nottingham Playhouse from 8th – 23rd February 2019. 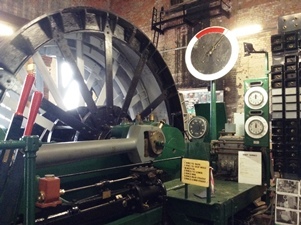 Both preserved colliery winding engines running on Sunday, 14th October 2018 (10am – 2pm). FREE EVENT.